Week 48-Reasons to be happy! Can a smiley face shake you out of autopilot? This week’s experiment to shake us out of autopilot was to wear our watch on a different hand to your normal one and in its place draw a smiley face. The idea being every time you see the smiley face you check in with yourself to see if you are where you should be right now. As busy people who need to earn a living and with responsibilities of all sorts we don’t always have the luxury in a physical sense to always be where we want to be. What I mean is, we may be sitting in another lengthy meeting which should have been an email but where you really want to be is at home in front of the fire watching a black and white movie, you may be walking your dog in the dark at 6.30am on a really rainy day, when where you really want to be is still snoozing under the covers, you may be battling with the masses to get some food shopping or the perfect Christmas present for your loved ones but where you really want to be is walking through a woods with crunchy leaves underfoot. I’m guessing what Chris really wanted us to do was to check in with ourselves to see if we were in practicing being present and grateful. Today, I decided to have a go with this, I had an early start 5.30 am to do and hour and a half on my assignment first thing, then I had to walk Ted before showering quickly and leaving the house at 7.45am to get to the acupuncture clinic for 8.45am. I am always nervous before clinic, this is only my second time, and we help the third years with real life patients with real life needles. There is a no jewellery policy so I replaced my watch with an inked smiley face. In times at the clinic I go from anxious to feeling like a loose part but every time I glanced at my wrist the smiley face grinned back at me like a reassuring old friend. So Smiley became my friend today and I may employ this friendly face in the future when I’m feeling anxious about fulfilling all my commitments on any one day. I think having a reassuring smile just a glance away would help me along with my day. Haha! We all deserve some kind of smiley reminder. 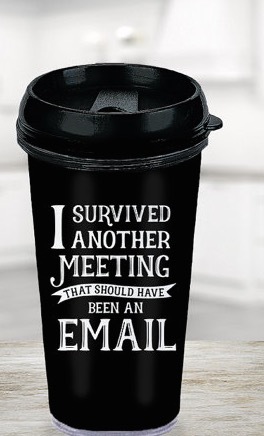 I know what you mean about the feelings that are provoked by unnecessary meetings! yeah-yeah, I'm a big fan of black & white films too. Film Noir only ever looks good in black & white with the exception of Body Heat (Kathleen Turner - amazing) - I love that film - yeah-yeah. As for a good black & white you can't beat Bogey - what a great actor. And don't mention Bacall (fabulous). One of my favourites is Gilda - great film to watch cuddled up on the sofa with a duvet while the rain taps at the window - yeah-yeah. Rita Hayworth - wow. Fi, what a great take on this! I did give it a try, but kept forgetting to look at my wrist... The fact I generally wear wrist warmers may have something to do with this - maybe I need wrist warmers with a smiley on them! It does sound like another good alternative to remind us to be present (and grateful).